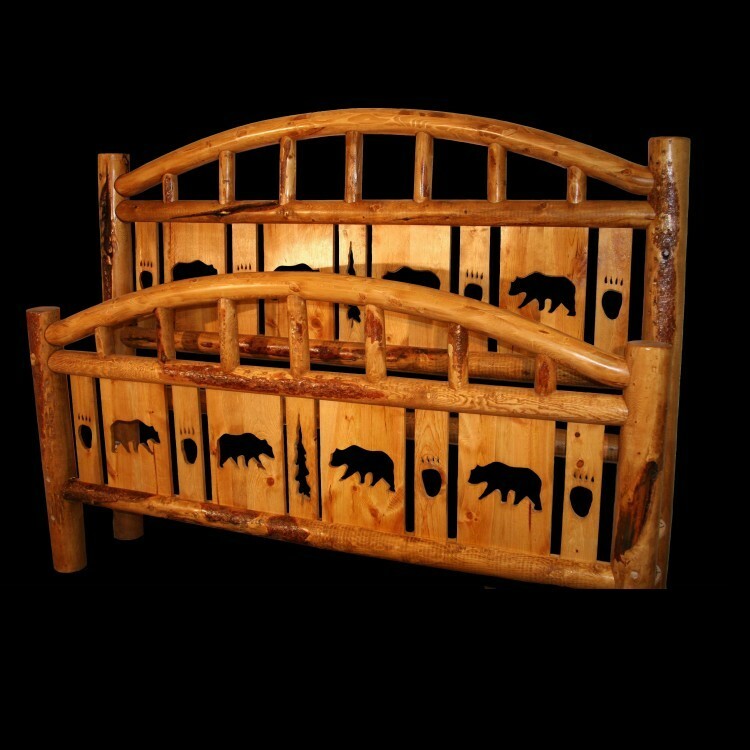 This beautiful Cutout Deluxe Bed -Arch is made from solid lodge pole pine and features a panel with cutouts of bear and bear tracks. 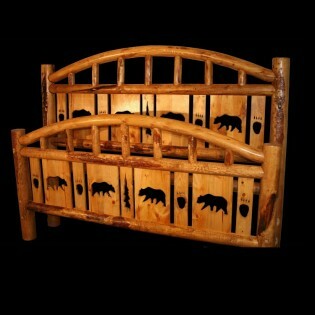 This beautiful Cutout Deluxe Bed -Arch is made from solid lodge pole pine and features a panel with cutouts of bear and bear tracks. This log bed has 2.5" diameter logs that the box springs and mattress sit on, under which are placed four log pedestals for additional strength and support. This will ensure that your side rails never break or turn. It is finished with an durable oak stain and rustic bark.